The course threw everything it had at the cyclists like the unforgiving hills that split the bunches up, the wind that battered them around, the road works on the bridge and even the one lane road slump obstacle. This didn’t stop the grades pushing each other to the limit. Luke Macpherson showed off his skills in Division 1 and to take the win with ease after breaking away from the rest of his division. Division 2 came down to a sprint finish with Andrew Lienert taking the win from Will Sutherland who had worked hard the whole race. Division 3 had the smallest field of the day with only 7 riders and the course took its toll on the group, the hills separating them and Tim Maynard falling victim to a mechanical. 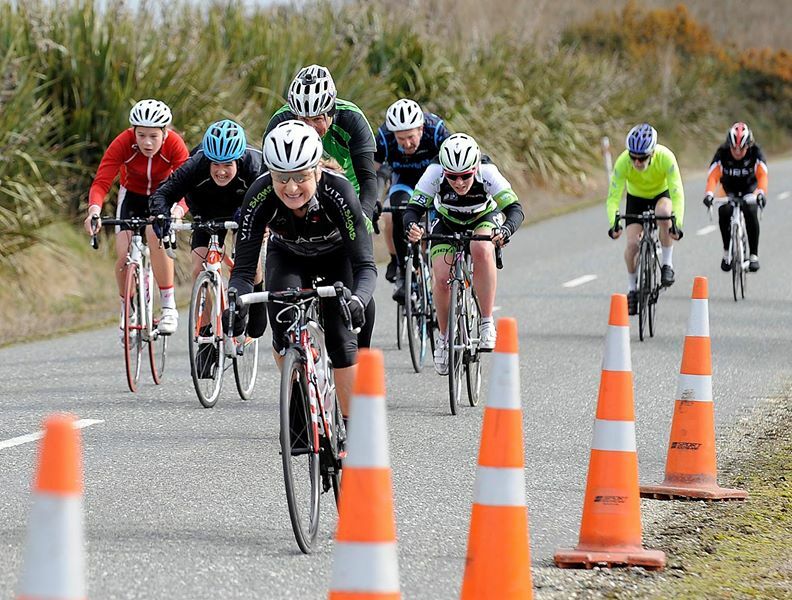 Josh Taylor took the win comfortably which is great to see as he competing in the Yunca Junior Tour of Southland from 2 to 4 October. Division 4 was the largest group of the day, combined with some junior riders which were only doing one out of the two laps. This group worked together well with Max Anderson becoming the powerhouse on the front for majority of the race, to only be pipped by his fellow team member Sam Kopae. Great to see some healthy competition between everyone. Thanks for all that helped out on the day. Photo courtesy of masters legend cyclist Barry Harcourt - thanks Bazza!